﻿ Fab Fantasy Fiction: REVIEW: Joni Hahn's D.I.R.E. Agency series is a MEGA five star must-read! REVIEW: Joni Hahn's D.I.R.E. Agency series is a MEGA five star must-read! Everyone wants to love a hero, but finding one can sometimes be a little hard. Particularly if they don't perceive themselves as hero material. However, writer Joni Hahn hits it out of the ballpark with her new suspense laden romance series, The D.I.R.E. Agency, that offers a touch of the paranormal too. For fans of Doctor Who, you'll discover some fellow time travelers (though not Time Lords). If you've ever been fascinated by the urban legend of Einstein and the Philadelphia Experiment, you'll really enjoy Joni Hahn's take on it (and, like me, perhaps recall the 1984 sleeper film with Michael Paré). But most of all, if you love romance, you'll discover Hahn has the perfect ear to deliver strong, independent, and sassy heroines, while at the same time making sure her alpha heroes are strong and tough, with a little something extra. These D.I.R.E. agents have a soft center, particularly for those they love. So watch out, you may be getting a little fan girl crush on them as well! The first book of the the initial trilogy of the series is Agent I1: Tristan. From the moment I started reading it, I couldn't put it down. Literally, I couldn't' put it down. I read through the night and then continued on books two and three. By morning I was bleary-eyed and slightly exhausted, but absolutely delighted as this new author delivered a fierce, wonderful, and inventive plot that twists and turns - and was not at all predictable. There are heroes and villains - and sometimes it's a little hard to gauge who is who. But that makes it all the more interesting. So, have I caught your interest yet? 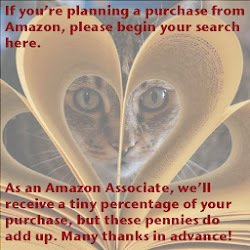 If so, I'll continue with a brief review of each of the three books, but before I do, may I say you should wander away for a moment and download book one. Yes, really, go ahead. It's free right now. Maybe read a little bit and come back to read the rest of the review. But make sure that you give this new series a try. You won't regret it. As I mentioned earlier, I couldn't put D.I.R.E. 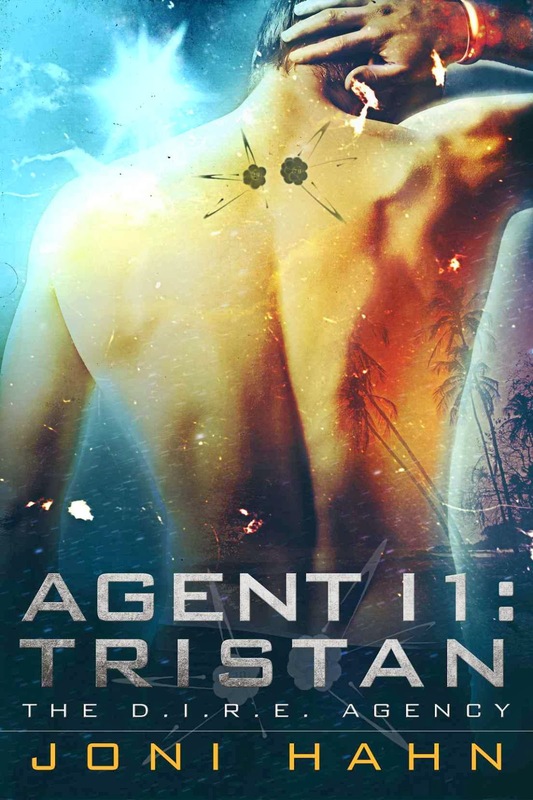 Agency Book One: Agent I1: Tristan down once I began reading it. The story opens as a bride prepares for her wedding day as a man watches her don her dress. Curious that. But this man is Tristan and one of his special powers, which the scientists at D.I.R.E. have created and given to him, is invisibility. While I don't think he'd normally take advantage of spying on a woman dress herself, Tristan is at the church on a mission. The bride (Rachel) is the sister of Aidan, Tristan's former Navy SEAL team member and best friend. It seems like she's being forced into a marriage and Aiden wants Tristan to help him stop it. When the future groom arrives at the church not just drunk, but essentially comatose from the bachelor party the night before (and perhaps with a little help from Tristan too), both the bride's mother and groom's father demand the wedding proceed. However, before that can happen Aiden gives Rachel to Tristan and they both disappear together. WOW! Now that is what I'd call a fast-paced, thrill-laden opening and that pace continues through the whole book. It's quickly apparent that there's quite the chemistry growing between this battle-hardened soldier D.I.R.E. super agent and the small town girl-next-door, but what's not clear even on a date around-the-world, is if they might have the possibility of a future together. When they finally give in to passion atTristan's island paradise, it might be a one-night-stand (or even a few nights), but you'll have to read the book to find out. Be prepared for some more secret agents, unexpected traitors, fascinating characters, and plenty of HOT romance. 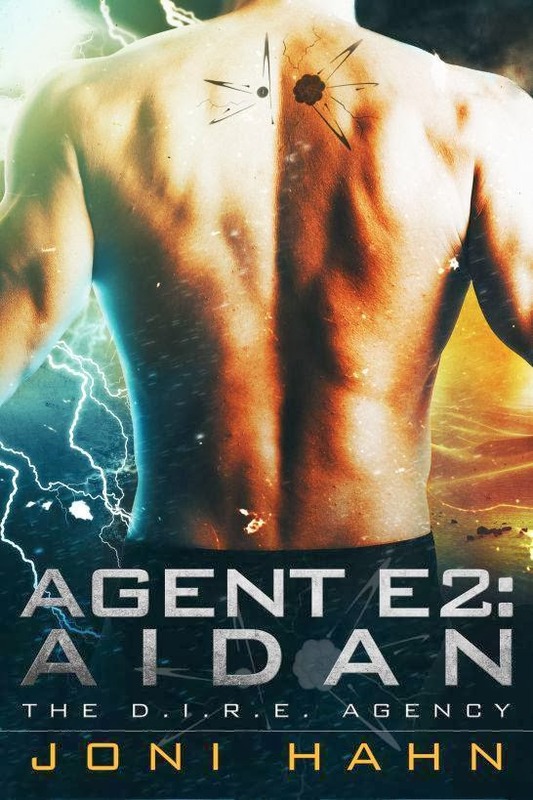 In Agent E2: Aidan, D.I.R.E. Agency Book Two, Hahn tells the story of Rachel's brother Aidan and Cassandra Naylor, the daughter of the arch-enemy of the D.I.R.E. Agency. I won't go into a lot of details about her as some may be spoilers for book one, however she has a twin brother (d'Artagnan known as "Dar") and it's clear that she is constantly trying to seek her father Robert's approval. Aiden and she meet while she's trying to sneak in and out of somewhere she shouldn't be. And when he tries to restrain her, she retaliates in a way that finds and hits his greatest weakness. This all happens within the first few pages of the book and just like book one, the story is packed with suspense, twists, turns, and unbelievably beautiful moments between Aidan and Cass. Soon Cass' loyalties - a choice between her family or Aiden - are drawn into question and their relationship seems severed as a result. I won't go into more detail here, but would suggest you do a little reading up on The Theory of Relativity. (Just kidding, you don't have to…but you just may want to!) Hahn's imaginative plot, the way she weaves multiple story lines throughout the book, and the secondary characters she introduces are fascinating. By the end of the of book two, I was left literally on the edge of my seat and couldn't resist the lure of book three! 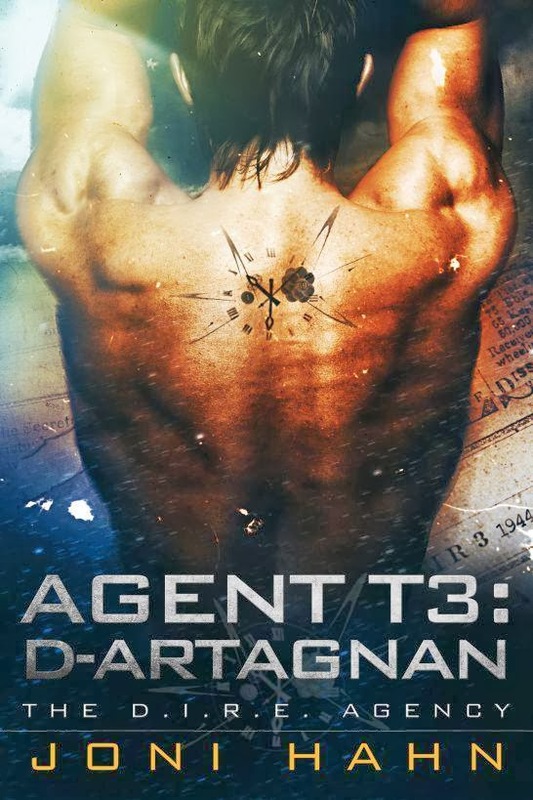 Book three, Agent T3: d'Artagnan provides needed understanding of Cass' twin brother Dar. i don't want to give away any spoilers for the earlier books in the series, but just let me tell you, time travel factors significantly into this plot. If you're a fan of Doctor Who like I am, it's not hard to suspend disbelief and imagine time travel is possible. (Wouldn't you like it to be?) Hahn's grasp of the possibilities and scientific probabilities make this fun. As do some villains imported from an earlier time. Former Navy SEAL, Aidan Monroe, embraces risk. Show him a hint of danger – or a beautiful woman - and he’s all over it. The only commitments in his life: his new D.I.R.E. enhancements and finding his father’s killers. d’Artagnan (Dar) Naylor: trained by the best, disciplined by the toughest, and raised by the vilest - his father. He bought into Robert Naylor’s life of crime, until he learned the reasons behind it. Now, he possesses enhancements installed by The D.I.R.E. Agency – an organization he once called enemy. He has to stop the traitors from the past before they destroy the future. And, despite what they say, his decision has nothing whatsoever to do with retro beauty, Jocelyn Chalmers. Jocelyn wakes up in the future without a memory. All she’s certain of is the fear in her gut and her blinding attraction to gorgeous, protective D.I.R.E. agent, d’Artagnan Naylor. When close quarters prove too much for their passionate hunger, Dar knows his future is destined for hard decisions. Once Jocelyn’s memory returns, she begs Dar to return to the year nineteen forty-four and save the world. Yet, to change the past, changed the future. How can they be certain of the consequences of his actions? How can he return her to the past where she belongs after all they’ve shared? Turbulent times come to a head when the past sends its own version of destruction to the future in the midst of long-awaited retribution. Can Dar escape his past to save the future? Or, does fate have its own reckoning in mind?